Going on a career break for longer than a few weeks inevitably means you'll have bills to cover while you're away. For many people, the biggest expenditure they'll be facing is their monthly mortgage payment. But as your home is most likely your most valuable asset, even if you leave the country for a few years you shouldn't have to sell it. In fact, depending on your current mortgage payments, you could even end up with a profit! Your best bet to keep up your mortgage payments is to rent out your property to tenants who can oversee payment of both your mortgage and other household bills. But don't forget that rental income is taxable, so contact Inland Revenue for advice on how to do it properly. Tell your mortgage lender if you plan to rent out your property, and keep in mind that unless your home is freehold there's a good chance you'll need permission from your landlord to rent it out. Often, that is just a technicality, but avoid problems by doing what the law requires. Arrange for your tenants to pay direct debits for their rent in advance, so that your mortgage payments won't be cut short accidentally. 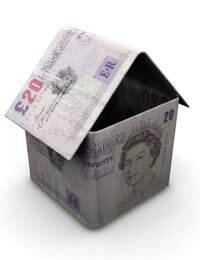 Remember, ultimately the repayment of your mortgage is your responsibility, not your tenants'. Check that everything is in proper order before you go. If you're planning to be away for a short period of time, letting your property may not be ideal. Some people in this case rely on savings. If that's not an option, many mortgage lenders can agree on amenable terms if they know your plans involve a career break, which is theory should make you even more employable – and thus a higher earner - when you return. You may also consider arranging for a flexible mortgage while you're away, which would allow you to make under or over-payments. Alternatively, it could facilitate your taking a complete mortgage payment holiday, depending on how long you'll be away. Be aware that this means you are, in effect, borrowing from your bank. In the long run, that means you'll have to pay back more money, so look before you leap. Consider an interest-only or offset mortgage, which could reduce your monthly payments. An interest-only mortgage is usually not a long-term solution, so tread carefully. Freedom now shouldn't result in long-term debt tomorrow. Career breaks are designed to let people have a holiday from their everyday life, experiencing what the world has to offer without the stresses a normal workaday existence entails. If you are constantly worrying about how to pay off your bills back home – especially your mortgage – this defeats the purpose of having a career break. Plan in advance to make sure you reach a solution that is most beneficial to you. Consult with your mortgage lender or bank months before you embark on your career break or sabbatical, as well as people who have been in similar circumstances. Financial considerations are important, but they should not be used as excuses for not going on a career break. If you cut back on your expenses now and start planning carefully, you should be able to afford what thousands of other adventurous people have done before you. Good luck!